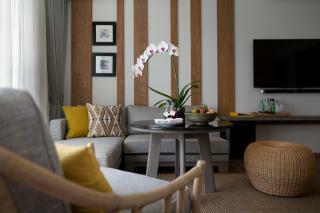 What makes it so special is the incomparable attention to detail. Everything, even the toothpicks, carries the Nai Harn logo. Signage is clear and stylish; lifts sport a giant image of the Hanuman, a character from the Hindu epic Ramayana, a motif repeated in the murals of the palatial reception area. 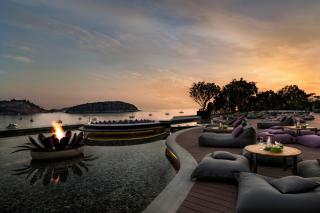 The resort, Thai owned again, cherishes its cultural roots. Originally conceived by architect and aristocrat Mom Tri Devakul, it was opened on February 22, 1986. 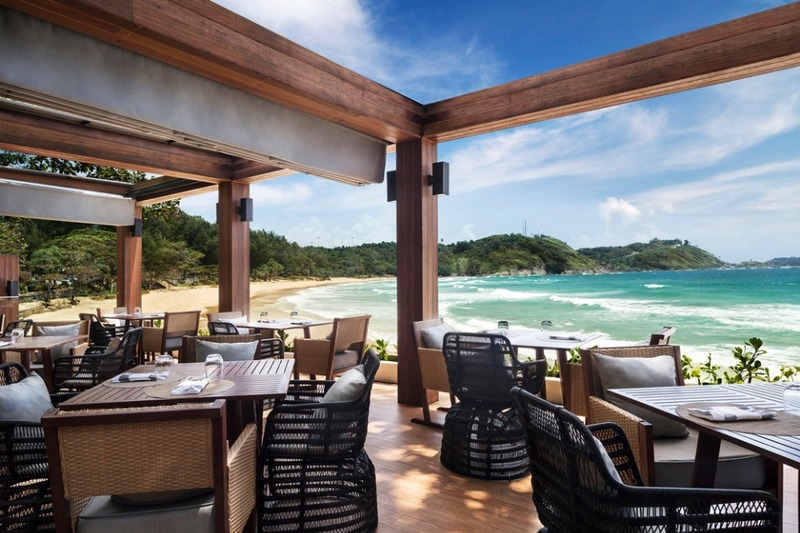 Host to numerous glitterati, it was the first five-star resort in Phuket and the only one to have an entry in ‘Where Curiosity Leads’ – a publication devoted to the world’s top hotels. 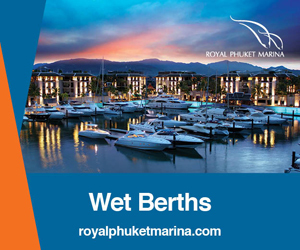 It is still unique in having all its 130 rooms and suites facing the ocean. And what rooms! Designed in an era when space was not at a premium, each living area – a spacious 40 sqm – has deeply pleated curtains covering the front wall. Pull them back to unveil a theatrical stage-set framed by full width, picture windows. As your eyes adjust to the blinding sunlight, a matching terrace is magically revealed, adorned with a bank of bougainvilleas in full flame-hued flower. A green four-poster day-bed beckons. 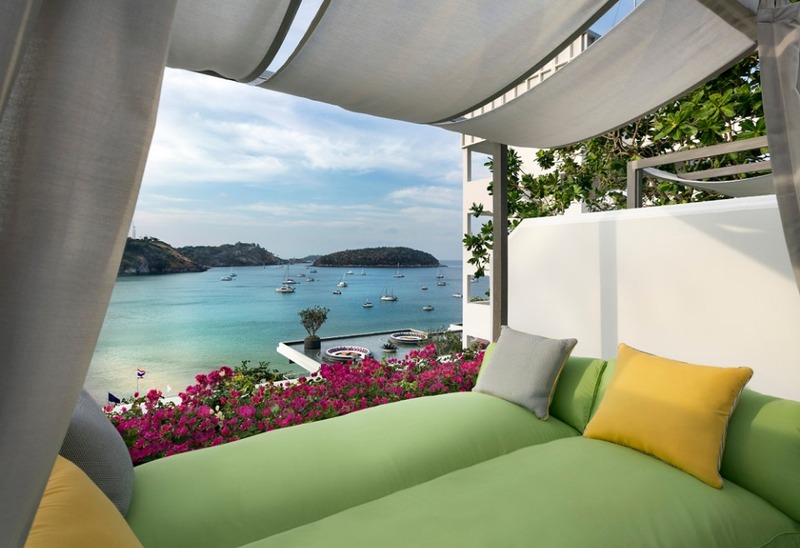 Beyond are panoramic vistas of the perfect crescent beach of Nai Harn Bay, one of the world’s iconic sea-side locations. 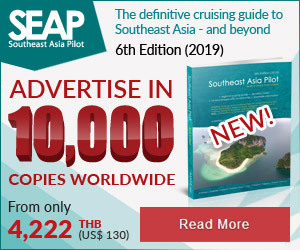 And if spectacular sunning and sight-seeing in your new eyrie is not enough, you can order a special barbecue on that same terrace, cooked for your delectation in front of your very eyes. The personal butler service extends to the beach below. 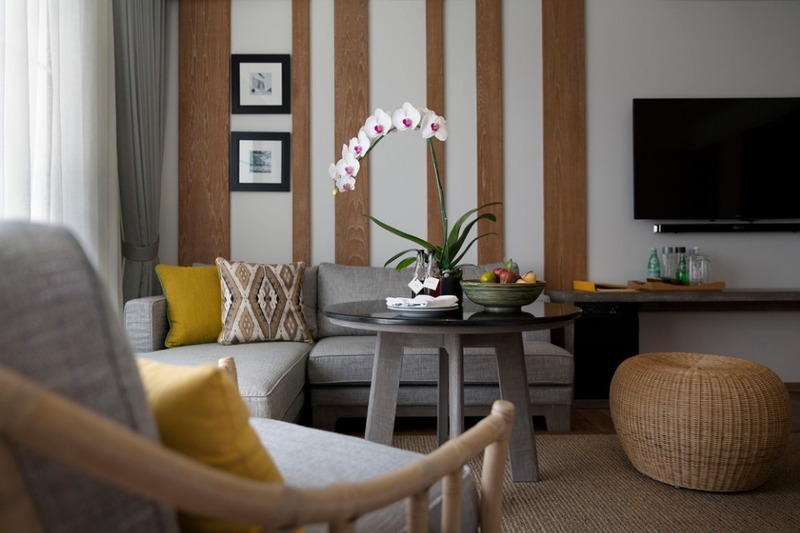 Though the overall dimensions have not changed, the rooms were given a radical make-over three years ago. The accent now is on an unobtrusive spaciousness and natural simplicity, characterised by white walls and wooden floors and furnishings. 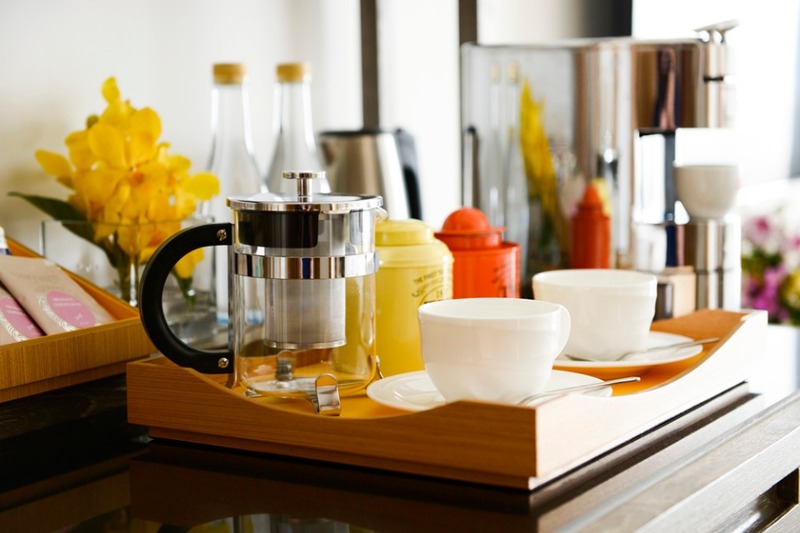 But the unobtrusive minimalism is deceptive; everything has been planned down to the last detail, with the well-being of the guest constantly in mind. The fridge is stocked, bottles of the finest spirits are arrayed on shelves; champagne will appear at the touch of button. There are bowls of exotic fruit, a selection of sweetmeats, even a personalised welcoming letter from GM Frank Grassmann. Add the inevitable wide-screen, interactive TV, wi-fi and phone chargers. The bigger picture has not been neglected. 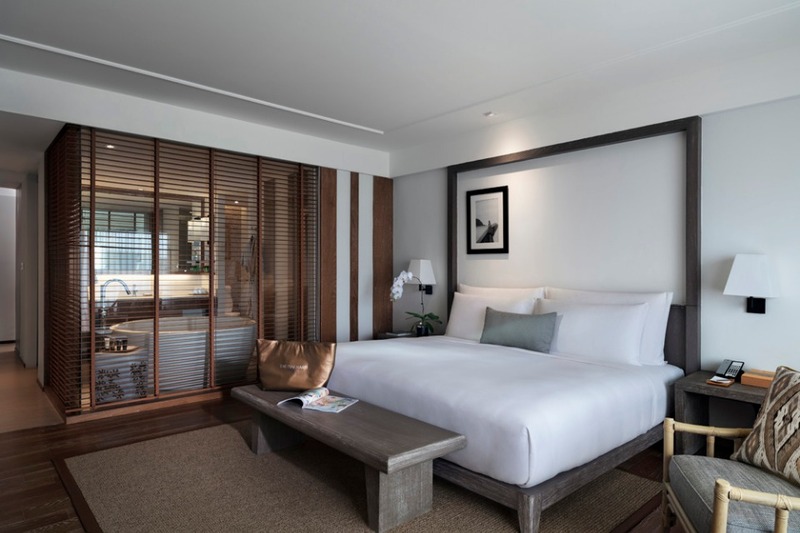 The luxurious bed – wider than it is long – has a sumptuous mattress, superfine percale sheets and down-filled duvet and pillows. The living room boasts the inevitable safe, coffee machine and hair-dryer. Even two kinds of hangers in the illuminated wardrobe for ‘his’ and ‘her’ clothes. 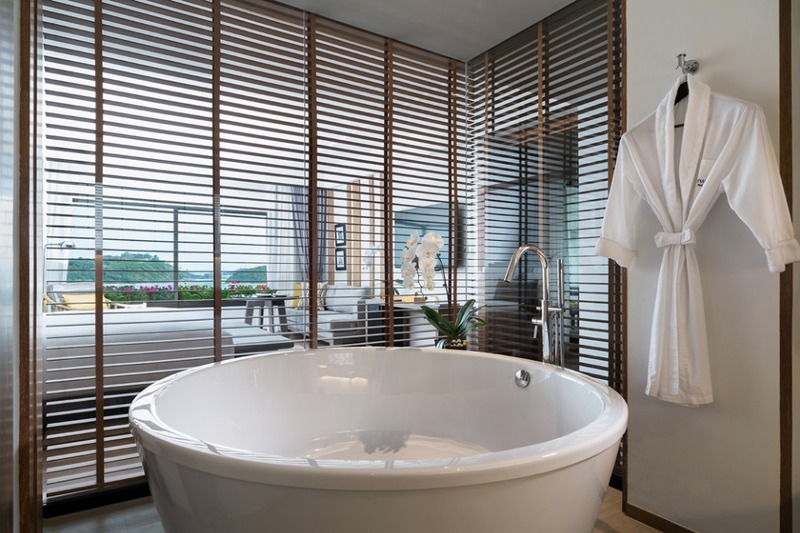 The subtle, earth-toned bathroom is capacious, with an uber-sized shower, classic bath-tub and wash-basin. 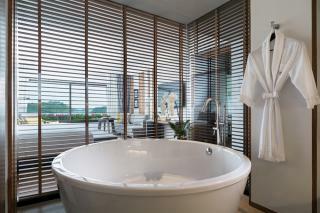 Luxurious bath-robes and branded toiletries await. 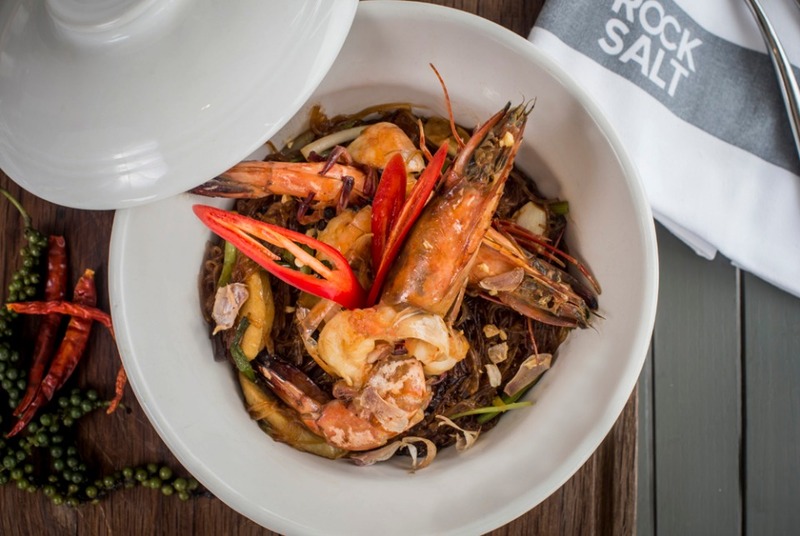 The cuisine at The Nai Harn is in the expert hands of executive chef Mark Jones, an amiable Englishman who pops over for a chat as we relax at Rock Salt. One of two main restaurants and a pebble’s throw from the beach, it has a relaxed, casual ambiance with funky music and a fabulous range of ‘Tribute and Signature Cocktails – the creation of Salim Khoury, famous for his stewardship of the American Bar at London’s Savoy Hotel for 34 years, and UK Bartender of the Year in 1992. We take dinner at Rock Salt after sampling Salim’s creations, including a ‘Blushing Monarch’ – Campari based with fresh passion fruit. The menu here, as elsewhere, was completely revamped on 1 May – yet another gesture in the constant search for perfection. 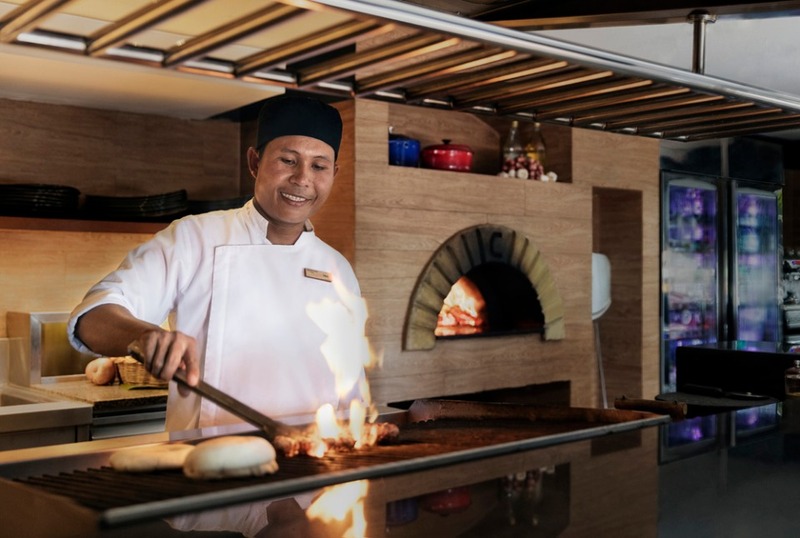 Chef Mark’s menu, which pays homage to his “passion for travel and new cultural experiences”, features not only classic Thai dishes but ones “inspired by the culinary traditions of the Eastern Mediterranean” and – more surprisingly, North Africa. Locally sourced seafood is prepared on a charcoal barbecue, complemented by wood-fired pizza and Indian tandor ovens. Eye-catching blackboards proclaim the “Catch of the Day” and the restaurant’s “Top Ten Rosé” wines. Spoilt for choice. They take their wines very seriously at The Nai Harn. The list has been curated by James Suckling, one of the world’s leading wine authorities. In order to arrive at the rosé wine selection for the Rock Salt restaurant, he undertook a blind tasting of 100 different wines. The best, a Monsoon Valley Shiraz from Thailand, is available by the glass. 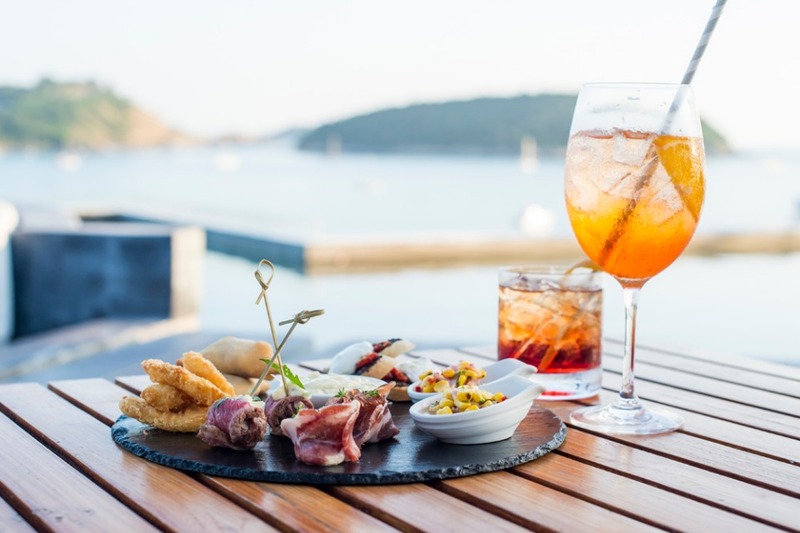 The wines are listed according to helpful descriptions: “fruity, flavourful and delicious – excellent all-round wine for every occasion” or “fresh and crisp, perfect for the beach, pool or light meals”. Informative tasting notes accompany the labels. A number are available by the glass in two tasting portions – 150cl or 75cl. Needless to say, the separate drinks list seems endless, with16 single malt whiskies to take just one example. 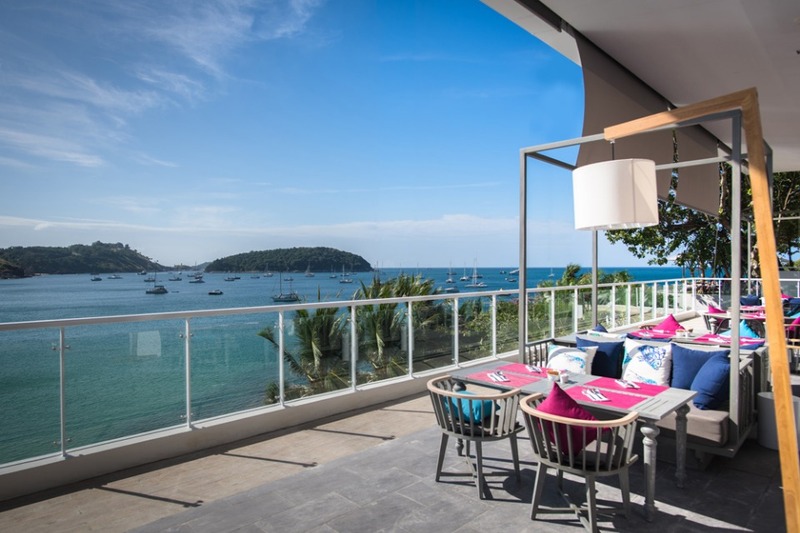 The appetizing rituals of breakfast are observed in “Cosmo”, the Nai Harn’s main restaurant: with its contemporary, grey furnishings, elevated setting and open aspect, it exudes a sense of airiness and space. A gastronomic cornucopia to start the day: everything from freshly cooked Eggs Benedict to pork sausages from the hotel’s own charcuterie. The cold room offers eight seasonal salads and a range of prepared meats, cereals, fruits and juices. It is to Cosmo that we retire for lunch. Heritage Thai fare such as Moo Hong and Pla Neung Manao and an Italian inspired trattoria – mainly pasta and pizza – dominate a lavish menu. The wine sauce in my amply stocked shellfish lingini is a mite subtle, though my partner’s Penang Neua – Thai beef curry – is memorable. And the dessert, a traditional mango and sticky rice affair, comes with exquisite mango and coconut home-made sorbet. 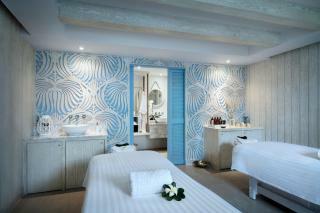 Reflections is a relatively new addition to the resort’s existing superlative amenities. 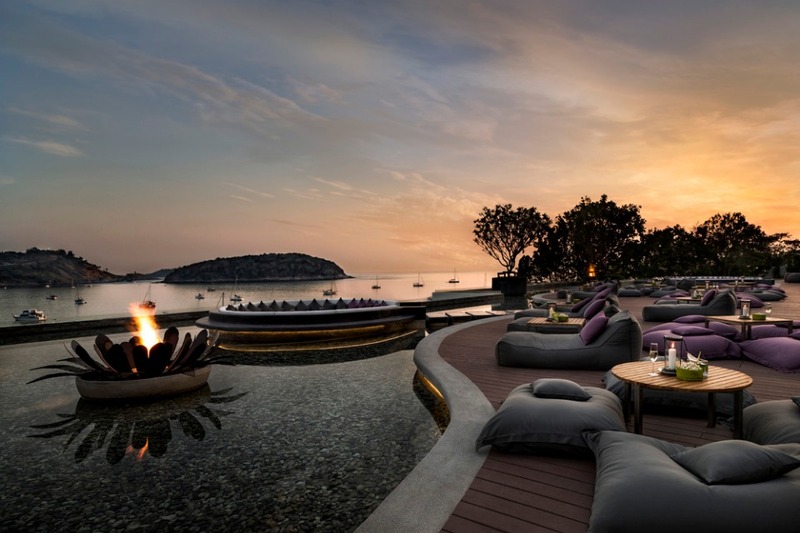 Designed with its numerous oriental guests in mind, it features a gleaming 50-metre rooftop deck with reflective, pebbled ponds and huge cushions for luxurious lounging. 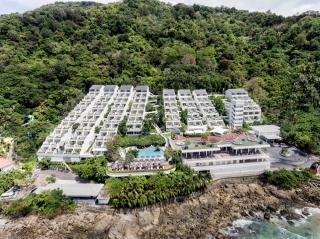 The stunning views embrace not only Nai Harn Bay and Promthep Cape, but the resort itself – a harmonious blend of stepped white walls and walkways, green foliage and colourful bougainvilleas. This is the place to sunbathe during the tropical day or relax with a sundowner and canapés. The happy hour is from 6pm to 7pm: a perfect time to come and marvel at the Andaman sunset. 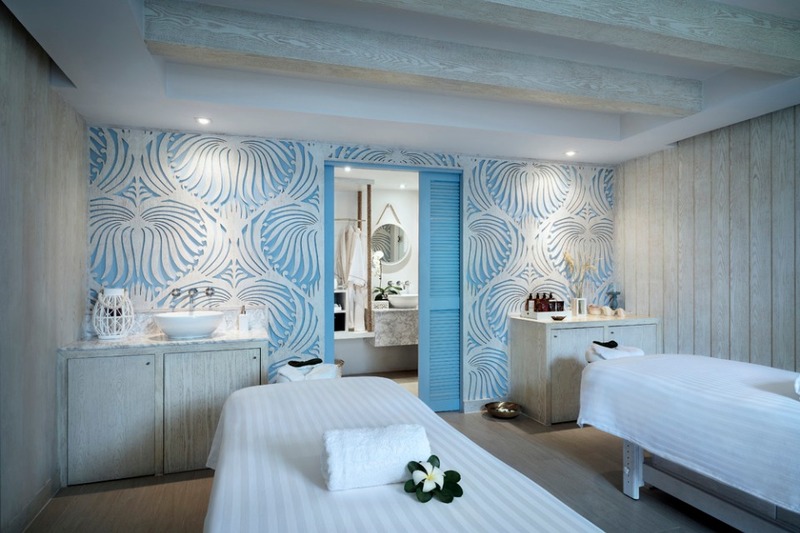 Nearby are the gleaming white Beach Spa suites, providing a wide selection of treatments, varying from traditional to cutting edge therapies. Here I am welcomed by a charming masseuse whose expert caresses – the treatment is oil-based – leave me feeling refreshed and invigorated. Definitely recommended. Upstairs, the infinity pool lounge features Phuket’s only sashimi and sushi bar. Horseshoe-shaped and lined with cool white marble, it offers Japanese delights prepared by Chef Arnu using only seafood imported directly from Japan. 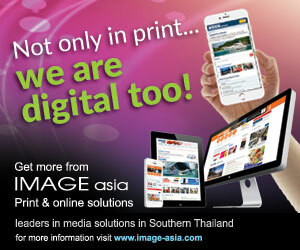 Concern for the natural environment has always been at the centre of the resort’s agenda. “Please help us to help the earth” proclaims a printed message. It is not an empty gesture. Frank Grassmann, the affable GM responsible for the resort’s ‘new energy’ and embellishments, is justifiably proud of the recent award of a gold medal from the prestigious Green Hotel Organisation. 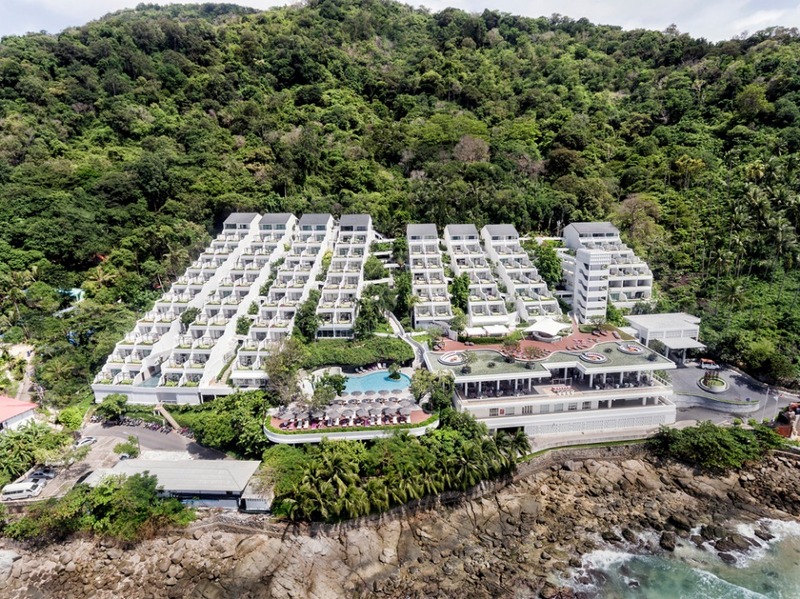 This honour has been bestowed on a mere three resorts in Phuket (the others are Le Meridien and the Dream Hotel), fitting recognition of management’s ongoing concern for ecological issues, its solicitude for the continued well-being of an island in danger of being swamped by random development. In conversation with Frank, I ask him what the resort is doing to merit this award. “Well”, he replies, eying his orange juice, “A small example is this straw. Paper not plastic”. At a time when the developed world is still trying (and mostlyfailing) to ban plastic straws, such an initiative is pleasantly prescient. But the bigger picture is not ignored. 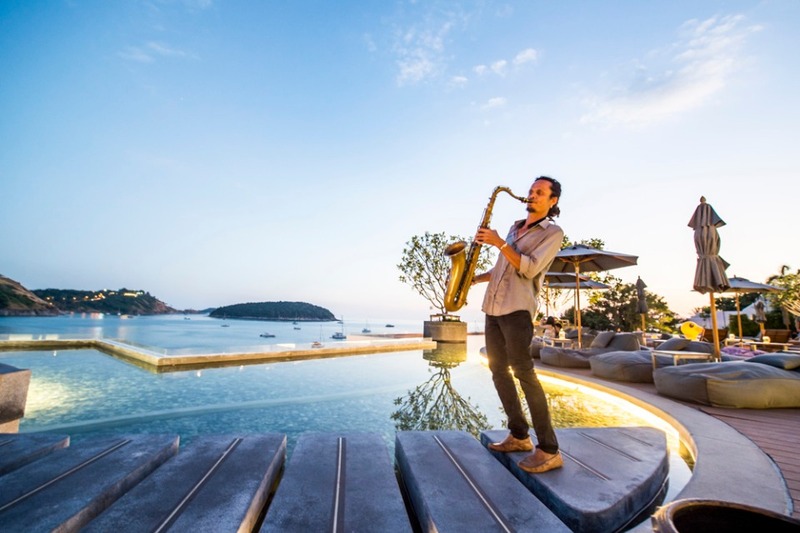 An emphasis on self-sufficiency means that not only is the resort’s water supply pumped from local sources near Rawai temple, but subsequent waste is released in the hills after treatment, where it provides irrigation for vegetation, including the coconut palms on the surrounding slopes. Solid organic waste is recycled; guests and staff alike are invited to make decisions about saving energy. More visible than these initiatives are the oxygenating banks of greenery that flank every walkway; plants carefully chosen for their ability to thrive in salt-laden air and partial shade: Rhapis palms, Boston ferns, umbrella plants, gingers, philodendrons. Some mature trees have been retained – native sea-almonds and magnolias. In a quiet, shady spot, a labelled herb-garden has been planted with the laudable aim of proving fresh basil for the pizzas or pandanus for the spa. Is everything done to ensure nothing is left to chance? Yes. 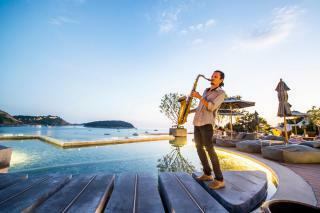 Does The Nai Harn offer a magical, all-embracing experience? Yes again. Once hooked on its delights, you will surely return.